You’re just a few steps away from gaining extensive industry exposure! Follow the guide below and get on the map today! Before you add a new listing, please do a quick search to see if your business is already listed on our site. Visit our homepage and fill in your business name, location (optional), and category (optional) to the search bar and click “Search”. If your business is already listed on our site, please see our How To Claim Your Business guide. If you cannot find it, please proceed with this guide. 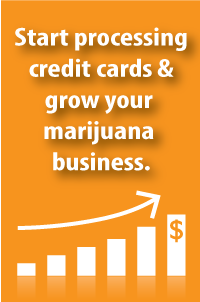 Visit MarijuanaReferral.com and register for an account. Fill in a chosen username, your email, and choose a listing type. 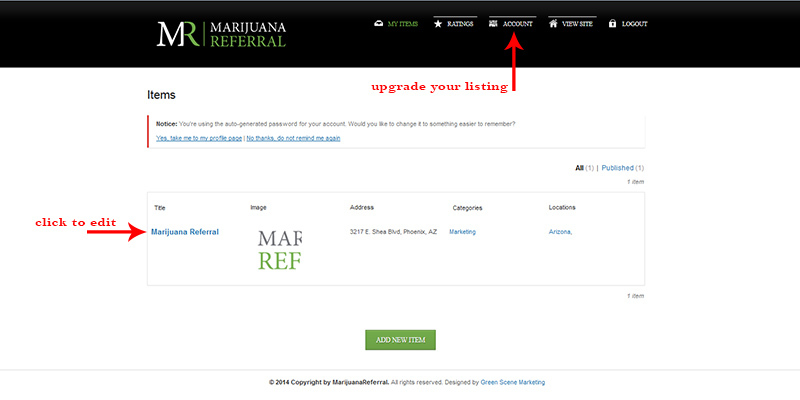 Head back to MarijuanReferral.com and login to your account using your chosen Username and Generated Password. On the user dashboard, select “Add New Item”. Please fill out the information form as completely as possible, including your business name, address (be sure to click “Find address on map”), phone number, and website (if applicable). Don’t forget to select your business category and business location. Click “Submit for Review” on the top right hand corner. A moderator will approve your listing within 24 hours. Note: This guide outlines how to add your business as a Free Listing. If you have upgraded to a Improved Listing, more options will be available to you. Once your business listing has been approved, you will receive an email, and your new listing will appear in the user dashboard where you can edit the information as you see fit or upgrade to an Improved Listing. 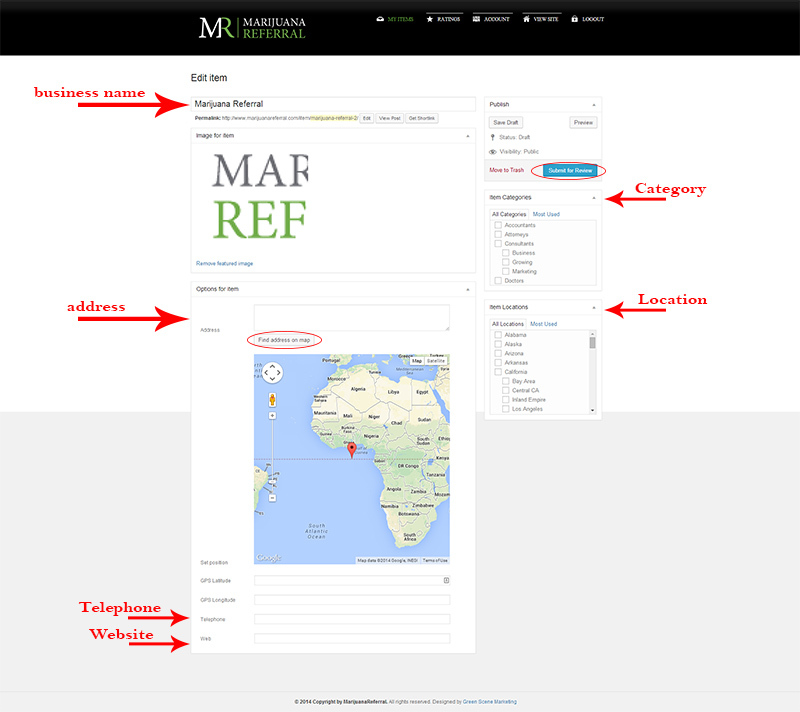 You have listed your business on MarijuanaReferral.com! Please contact us if you have any further questions.